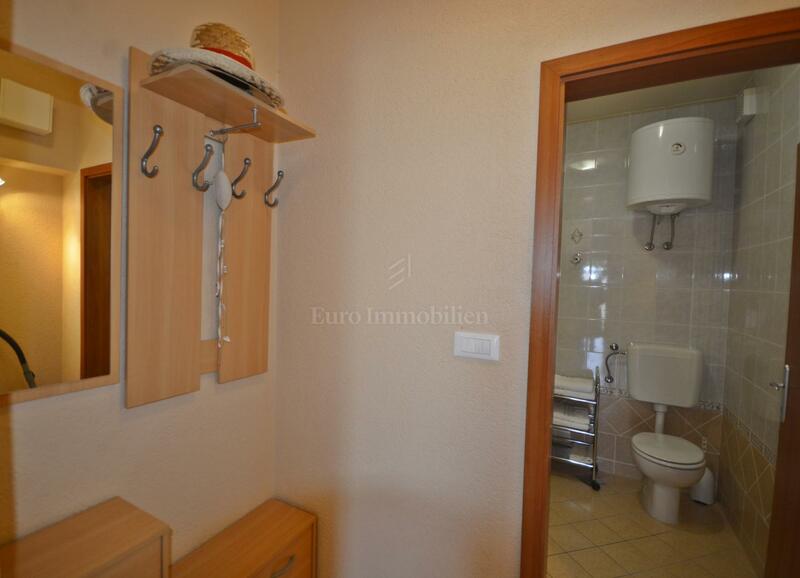 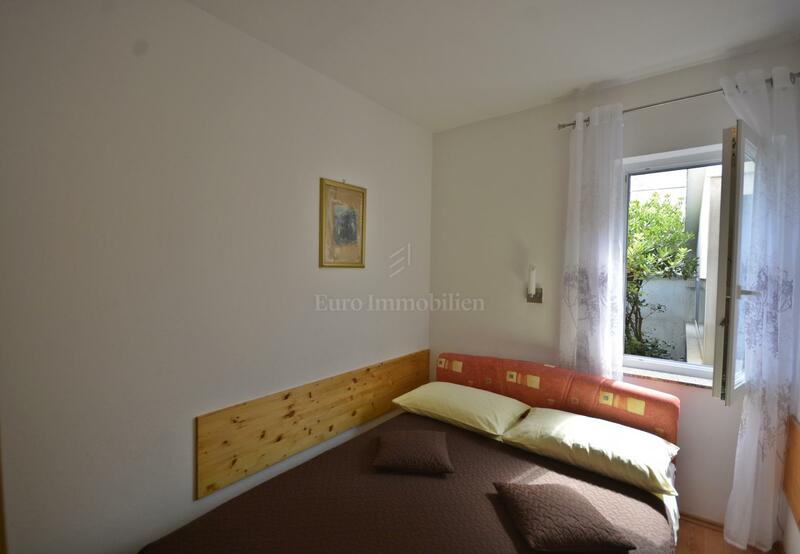 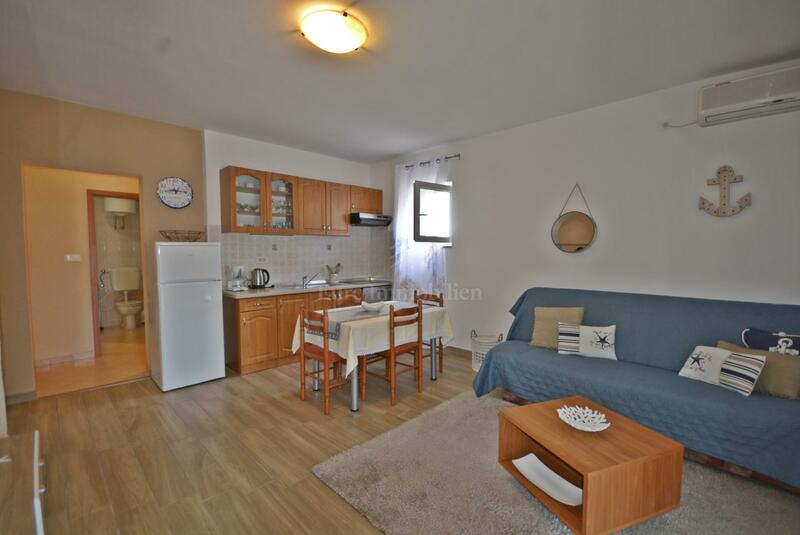 Nicely decorated apartment on the ground floor of an apartment building near Malinska. 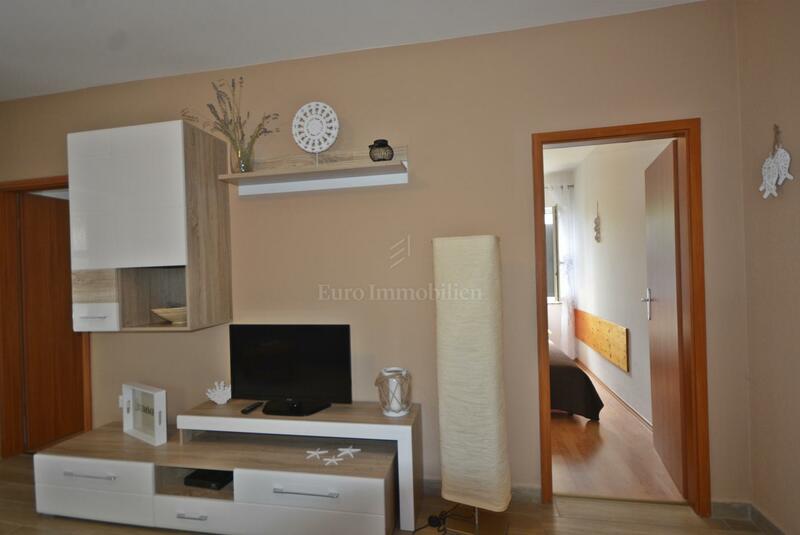 The apartment has a surface of 49.75 sqm and consists of an entrance hall, living room with a kitchen which has access to a covered terrace, two bedrooms and a bathroom. 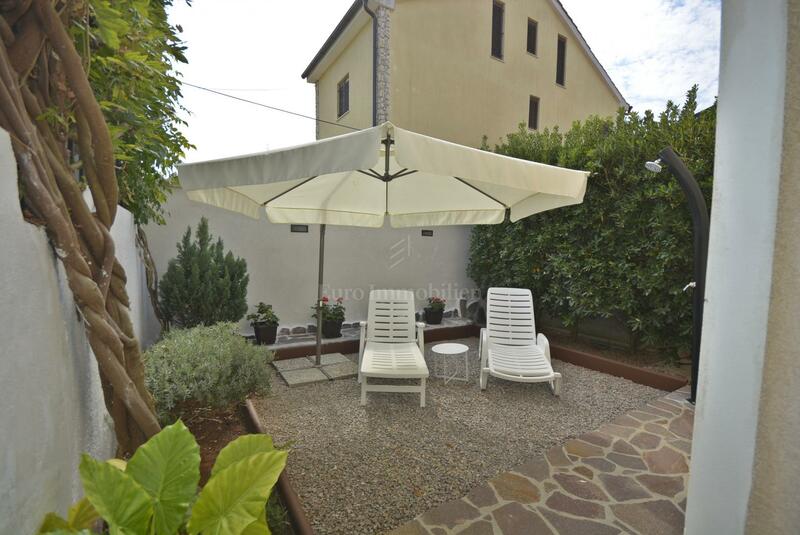 The apartment also has a beautifully landscaped garden of 86 sqm and one parking space. 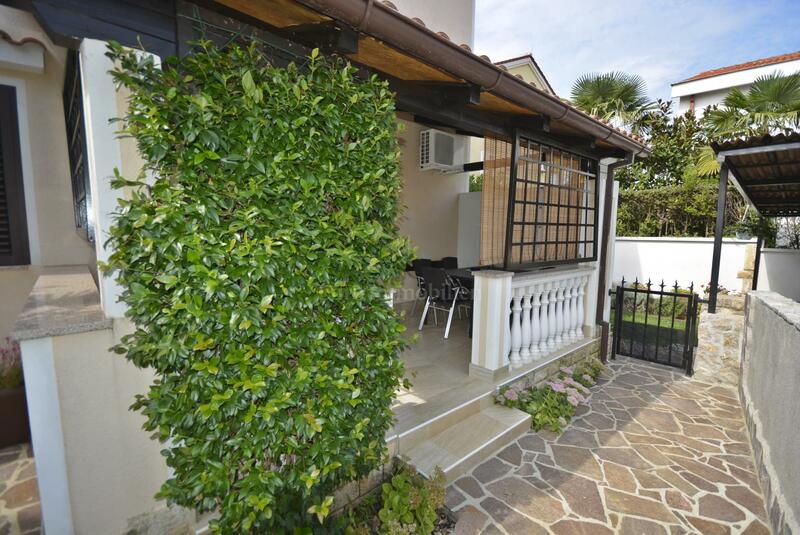 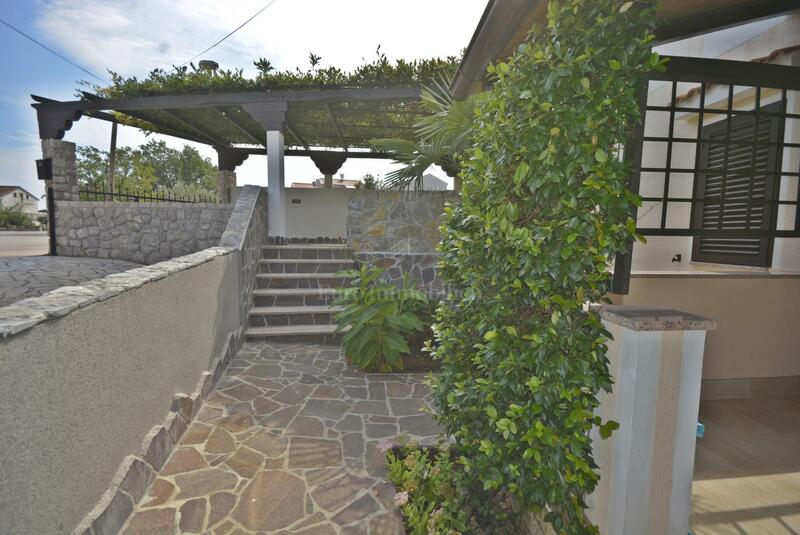 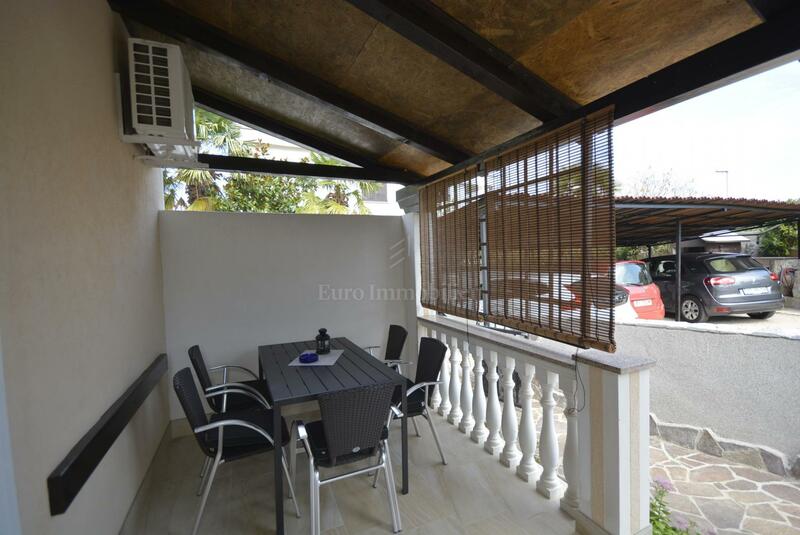 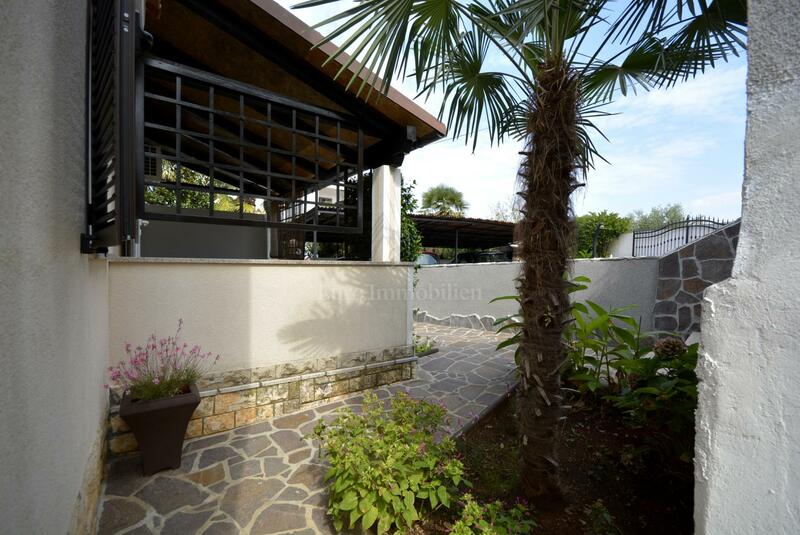 Excellent property location 200 m from the beaches.